This beautifully fragrant shimmer oil is perfect for the holiday season. 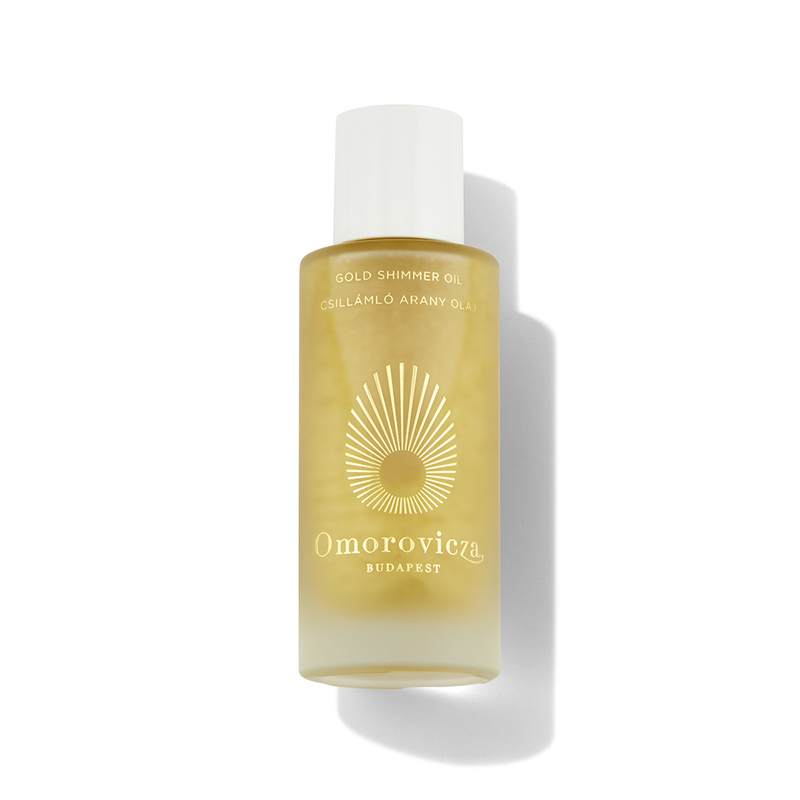 Omorovicza Gold Shimmer Oil contains small gold particles to illuminate and highlight the skin. Scented with Ylang-Ylang and Orange Blossom, this shimmering oil improves elasticity while softening and smoothing dry skin. •Shimmering body oil with Gold particles •Restores suppleness, elasticity and tone •Softens and strengthens the skin •Suitable for all skin types. Shake well before use to disperse gold particles. Apply a small amount to the skin and massage in circular motions. Any excess can be run through hair for a glossy finish. Anti-inflammatory colloidal gold heals microdamage and strengthens the skin. Rice germ oil provides essential nutrients to the skin. Calendula oil calms and soothes the skin. Vitamin E boosts the production of collagen and provides an anti-oxidant defence against free radicals.